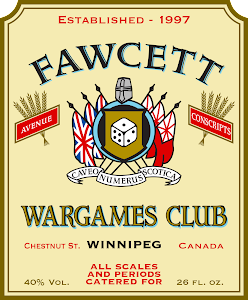 Fawcett Avenue Conscripts: Another Painting Challenge Looms! It's ANOTHER Analogue Hobbies Painting Challenge! Tis' the season! Yes, Christmas, of course, but in hobby terms the seasonal significance also includes the Analogue Hobbies Painting Challenge, hosted by our great friend Curt in Regina. The Challenge pits hobby types from all over the world against themselves and their will to tackle various mountains of unpainted lead, plastic and resin. While we "compete" with each other in a broad sense - earning points based on the volume of figures painted - the real test is competing against ourselves! Will we tackle old projects, or make progress on new ones, or both? You get to set your own points target, after all - for me, I'm aiming for 1000 points this year...that works out to something along the equivalent lines of 200 individual 28mm infantry. Of course different scales, different models etc give you different points outcomes but you get the idea. 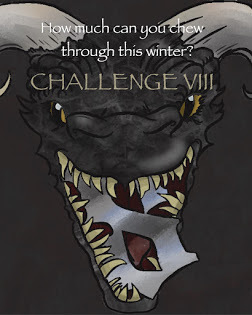 It will be the 8th year of the Challenge, and I am approaching it with the same level of pre-planning and preparation that I brought to the first seven - that is to say, none! Many of the participants try and bring "plans" to this thing, and I salute those efforts - if your mind is organized, that's great for you! But my hobby mind just doesn't work that way. I have to stay organized for my job - and I don't want my hobby to be work! I want my brushes to follow my interests and passions. Do I still buckle down on particular periods or settings (i.e. 30k), well, sure, but I'm always ready to try something different. The closest I have to a "plan"for this edition of the Challenge is a broad wish to get a bunch of stuff painted for the Franco-Prussian War. To help with the encouragement in this regard, I have entered into a little side duel with Curt, MartinN and several other Challengers with a focus on the "Black Powder" period - hopefully this will keep me mostly-focused, but lets be honest. Who knows what I'll paint? Could be anything from 30k to the Sudan to Fantasy is possible...whatever catches my mood! Franco-Prussian lead from Foundry waiting for the 8th edition of the Analogue Hobbies Painting Challenge! Apparently we can even paint terrain this year! Of course, I'd rather drink acid than paint terrain on most days, but who knows, maybe I'll finally finish some more terrain, egged on by other Challengers. The best part of the Challenge is the other Challengers! I have connected with some great folks over the years and the overall breadth of different interests and projects is inspiring. The camaraderie and shared experience is great fun - and I'll be able to torment a new minion this year, none other than JamieM himself! Curt's Challenge Blog is ground zero for all of the painting action (even as the tentacles of Facebook circle ever more at the edges...my lamenting won't do a thing to change that, but it bums me out as I find it starts to take away from the chatter on the blog side over time). Be sure to check the blog regularly to see the work from all of the participants - including our own Byron M, who will no doubt amaze once again with a wide assortment of contributions! And we will of course continue to post on this blog as well. Best of luck to all of the participants - brushes start on December 21st! Best of luck for the Challenge mate. I couldn't agree more with your comments on the Facebook vs. blog debate. I'll keep using the blog until they carry me out in a box! Although I should be keeping my head down as I still haven't finished my losing challenge figure for you from last year! I shall definitely do it as part of this year's challenge...... Honest. And I'm fascinated to see you crank out some of this historical stuff. As someone who doesn't really "do" historical, the challenge is always a fascinating way to learn about these things. Great post Greg, reminds me that I have to do a starter post as well! I am with you on the facebook thing too... I get dragged in their as everyone uses it, but as an IT security guy, I DESPISE facebook. I end up using it, but really dislike it.